The Municipality of Anchorage will assist low- to moderate-income families who own and occupy an attached or detached single-family home, in need of minor repair. This assistance is in the form of a grant up to $ 15,000 and must be used for items that threaten the health or safety of the household. Applicants may reapply for Minor Repair Program grants until they have reached their $ 15,000 cap. The funding source for the grants is the U.S. Department of Housing and Urban Development's Community Development Block Grant Program. Applicants must meet the eligibility criteria outlined below, and as detailed in the program's policy statement. The total household income may not exceed United States Department of Housing and Urban Development's (HUD) established low-income limits, according to family size. These income limits are adjusted on an annual basis. Household income will be determined as the adjusted gross income as defined for reporting on IRS Form 1040 for individual federal annual income tax purposes. as their permanent residence, whether related or not. Total liquid assets of the household cannot exceed $10,000. Liquid assets include savings and checking accounts, certificates of deposit, trust accounts, notes receivable, etc. The maximum grant amount is $15,000. The minimum amount is $1,000. The Municipality of Anchorage will not charge a fee for the grant. Any fees charged by the program's administrator may be added to the grant amount. The applicant must own and occupy the home as their primary residence. For home ownership, applicants must provide a MOA tax record and warranty deed. No repayment of the grant is required as long as the property remains owner (the minor-repair grant's recipient) occupied for 3 years after final disbursement of the emergency-repair grant funds. Upon vacating the residence or transfer of deed or title within the 3-year grant period, including moving and renting the property, the grant becomes immediately due and payable. Minor repair grants will not be approved if the applicant is delinquent in municipal property taxes, or if the home is otherwise in jeopardy of foreclosure. 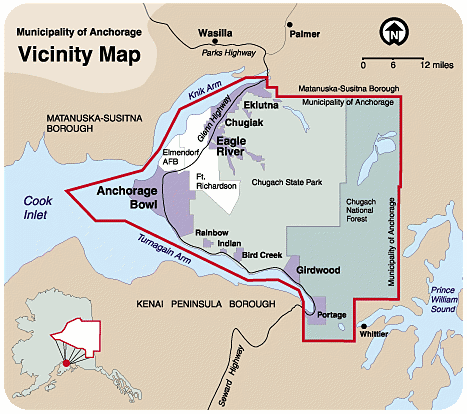 All properties must be located within the Municipality of Anchorage. The Minor Rehabilitation Program provides assistance for increased accesibility or repairs to items that may present a threat to the health or safety in an owner-occupied home (including condos, single family homes, etc.). Examples of items that frequently qualify under this program are the addidtion of an accessibility ramp, replacing failed furnaces and water heaters, repairing leaking roofs, rotting floors, and weatherization items. Applicants may reapply for Minor Repair Program grants until the have reached their $15,000 cap.